Data science projects can quickly find themselves off track – there’s just so much fun data to play with! That’s why it’s important to scope your data science projects. 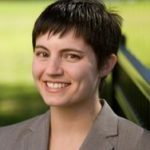 Once you have a viable data science project, you need to scope it to ensure you can deliver actionable insights in a reasonable amount of time. At DataSF, our data science projects happen in cohorts – groups of projects during a specific time period. The concept of a cohort conveniently contains the notion of deadlines. Cohorts end and a new one begins. We launch each cohort with a kickoff meeting. The kickoff meeting walks the teams through the project charter, reviews the timing for each project and starts the process of data access. This helps set expectations for timing for each project. By bringing everyone into one room, it also serves to subtly message the constraints your team operates under. They are not your only project. Asking for out-of-scope analytical support or causing unnecessary data delays affects others. The project charter is a document jointly signed by our team and the department’s project champion and leadership. Although a formal agreement, its real purpose is a conversation tool meant to surface ambiguities, crystallize responsibilities and identify and measure the deliverable. A majority of the sections – problem statement, service change and business case – can be lifted and polished from the application (our clients apply to work with us). The real conversation starts by digging a bit deeper. Our section on “constraints, assumptions, risks and dependencies” provides space for clients to lay out any fears and concerns they may have. Better to know and address these issues now than later. This may also introduce some important scoping issues. For example, in one project, we identified a law that constrained the type of analysis that could be used in the service change. We also have a stakeholder exercise at our cohort kickoff meeting to ensure we’re building support for the project from the beginning. It also helps identify whose expectations we need to surface and manage in terms of the scope and deliverable. In any project, milestones help measure progress and identify who is responsible for what. In data science projects, it can be hard to decide what is a milestone. At DataSF, we build in milestones related to how we approach the analysis to help keep us on track (e.g. exploratory analysis briefing, research briefing, model briefings etc). Basically, we put ourselves on the hook for meaningful, intermediate deliverables. Hearing what success looks like in the client’s words helps get everyone on the same page. It also helps elicit any lurking expectations. If their expectations of success are way beyond what your team believes is feasible, you need to know this before diving in. We often refer back to this success statement to help keep us on track. What is the thing clients expect in their hands when the project is complete? Is it a script? A workbook? A tool? This starts the important conversation of what your client can reasonably be expected to maintain. Depending on technical ability, some clients may be better served by an excel workbook than an R script. This also surfaces the question of who will maintain the end product going forward. More on this in our next article. You may need to revisit the deliverable as you learn more (and should message that), but by defining it early, you are also helping to define what “done” looks like. Remember, whenever you’re knee deep in the data and starting to feel lost, refer back to the charter as your guide. A thoughtful charter can help both you and your client stay on task. Feel free to modify our charter available in our DataScienceSF resource collection. For more on this blog series, read Part 1: How to Solicit and Select Data Science Projects. Visit us next week for Part 3: How to deliver data science projects. 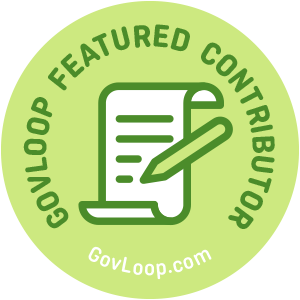 Joy Bonaguro is part of the GovLoop Featured Contributor program, where we feature articles by government voices from all across the country (and world!). To see more Featured Contributor posts, click here. As someone who dabbles in data but is by no means a data science professional, this was a great resource to learn from. As you noted, it all comes down to a solid plan for a project, and with one in place you’re that much closer to a successful project (or cohort!) completed. Thanks Blake – I’m glad it was helpful!